There are 8 types of entrepreneurs. Which one are you? 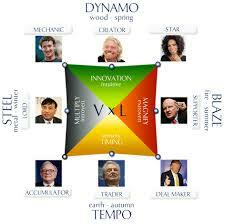 Wealth Dynamics is the only personality test that tells you exactly what entrepreneur strategy you should follow. Take the test to discover your entrepreneur type and your best strategy for success. Through its link to the I Ching and the five chinese elements, Wealth Dynamics links to the fifth element – spirit, your purpose, and the question ‘why’.